A companion to the author's earlier book Designing an Older Adult Ministry (Discipleship Resources, 1999), this book will provide new information and outline ways to develop and strengthen ministries by, with, and for older adults that can, and will, enhance the spiritual growth and well-being of people of all ages. The church is beginning to recognize that there are vast numbers of older people in its membership. It is becoming aware of its indebtedness to them for the leadership, support, service, and faith that has made the church of today possible. The church is uniquely positioned to help older adults respond to the challenges of aging; to see the tremendous potentialities in the lives of older adult for making the church and community better; and to assist older people as they experience new meaning and purpose in their later lives. 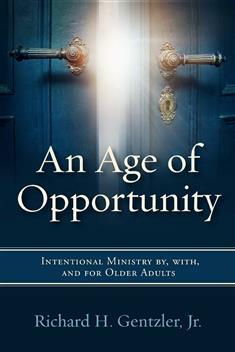 Chapters include "Why Older-Adult Ministries? "; "Understanding the Aging Process"; "Aging and the Spiritual Journey"; "The New Seniors: Boomers? "; "Intentional Ministry by, with, and for Older Adults"; "Organizing for Intentional Ministry in the Local Church"; "Organizing for Intentional Ministry in the Conference"; "Congregational Care Ministry"; "Additional Ideas for Intentional Ministry"; and "Trends in Aging." Appendixes include a "Facts about Aging" quiz, information on creating and using older adult surveys, and suggested resources for further reading and study.